The humble omelette | Life's Conundrum - Eat to Live or Live to Eat? It tends to be the default option for many when pressed for time to whip up an omelette. For the longest time I made a typical masala omelette with green chillies and onions. Then I have found the addition of western herbs works really well – tried it with chopped tarragon or chopped basil. For the carnivores in us try omelettes with chorizo, spicy pepperoni or salami that have been grilled to a crisp like bacon instead of ham. 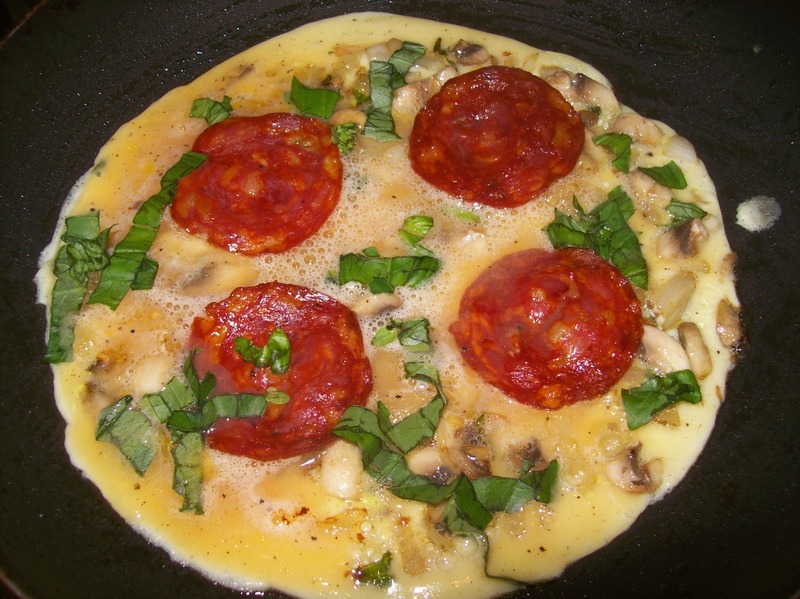 An omelette does not have to be a dull, boring option but a colourful, tasty meal to look forward to! Posted on April 17, 2013 by Anna and Shiv	• This entry was posted in General banter and tagged Chili pepper, Chorizo, Cook, egg, Home, Olive oil, Omelette, Pepperoni. Bookmark the permalink.